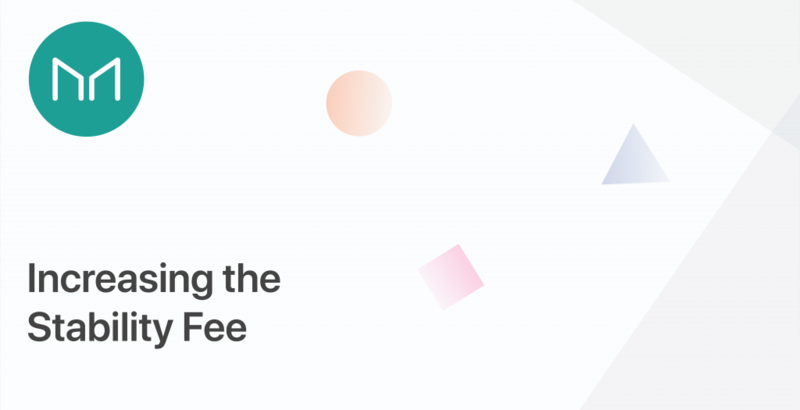 The Maker Foundation Risk Team will place a proposal into the voting structure (https://vote.makerdao.com/) to raise the Dai Stability Fee by 0.5%, for a new rate of 1.5%. Exchange rate persists below $1. No attributable impact from the previous stability fee increase. Additional future increases at potentially greater magnitudes. The proposal will be placed into the voting structure for an Executive Vote at 16:00 UTC Friday February 22, 2019. Given that the proposal amasses the requisite votes the proposal will then be implemented and deployed to the system.